Posted on October 2, 2012 by Elizabeth E.
This is a picture of my latest start of my hexie blocks series, taken in my super-duper photo studio: a piece of batting laid down on the kitchen counter, making sure that I don’t put it near the dishes, or onto any stray bits of gravy. Other times my photo studio is a bigger piece of batting, laid down on the guest bed upstairs, or if it’s medium-late in the afternoon, I can smooth it out on my pinwall, drag in the torchiere from my husband’s den, prop the other light up on the small stereo speaker on my desk, and make sure I turn on the camera’s flash. Actually, considering my week, this is a stupendous output. You know, some weeks are GetMoreDone and some weeks are BarelyQuilting. Now you know way more than you want to about how things are at my house, but I do want to thank Lee of Freshly Pieced for hosting us on WIP Wednesday, where we all scramble to get something done–or partially done–so we can post it up here and say Yes! I’m still quilting along! (I love WIP Wednesdays.) Click on her name to head back to her blog to read about others who got way more done. But don’t forget to enter the Almost to 100 Followers Giveaway, on the post just below. 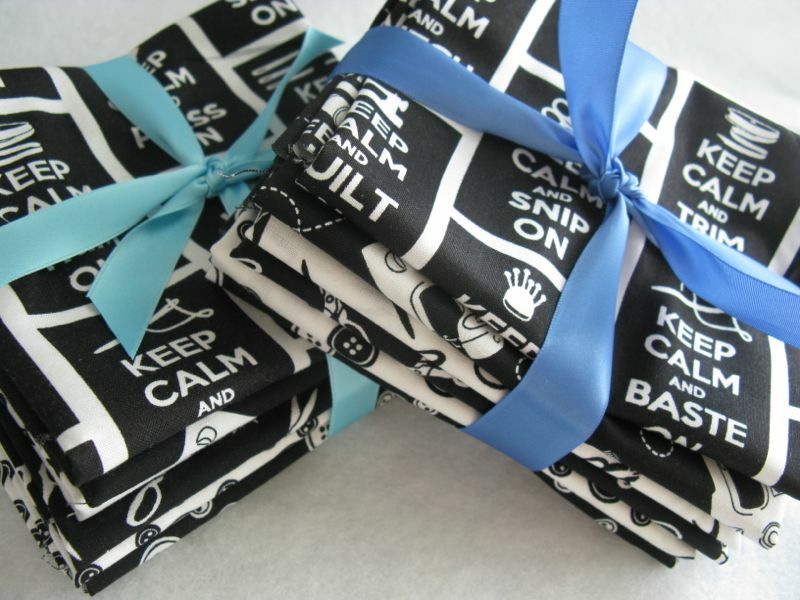 I’m giving away two sets of fat quarters–in black and white–perfect to rustle up some Halloweeny quilting! PS, now following in Reader, so nearer to the 100 still, even if it doesn’t show up as an official follower. You are right, some weeks are just like that! But you have one fantastic hexie to show for yourself!! Thanks for linking up to w.i.p. Wednesday, where I’m having the pleasure of guest-hosting! Your hexie blocks are simply stunning. I really look forward to receiving your post! Many weeks I relate to your life happenings. Congratulations on getting so many followers! getting the perfect photo is never as easy as it looks, is it?! This is one amazing hexagon! Congratulation!!! getting 100 follower. This is wonderful hexagon that I like very much. Thank you for great giveaway. I follow on this blog. 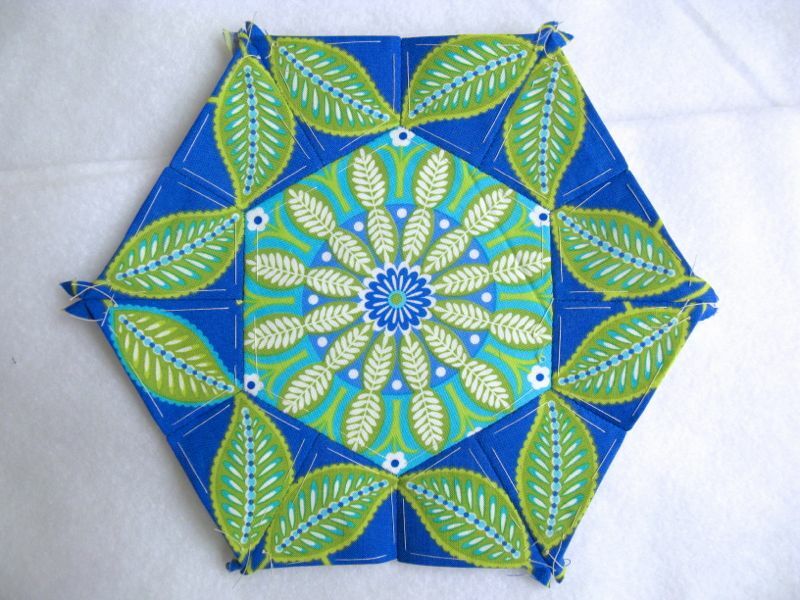 I love this block, and I love your description of arranging quilty things for photographs. I have different techniques I use depending on the time of day and how many clouds are outside!